The Google News Blog announced a neat new feature where they hyperlink the author's name in the Google News results. If you click on the authors name it basically takes you to a search for articles by that author, i.e. author:name here. 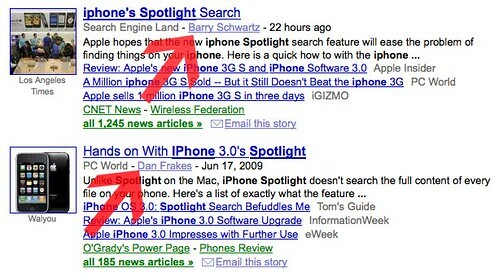 You can find many of my articles at Search Engine Land by searching for author:"Barry Schwartz", which shows me I need to update the feed here to include the author's full name (which I thought I did) this way the Search Engine Roundtable supports this command. Again, the author search in Google News, I don't believe is new. But the hyperlink is new and makes it more visible. As a searcher, you can follow your favorite authors, even if they write across several sites and publications via a Google News RSS news alert.